Concussions Are Real Brain Injuries. Playoff season is underway, and amidst all the excitement of intense hockey games, there’s one other thing that we should be focusing on: the dangerous effects of concussions. 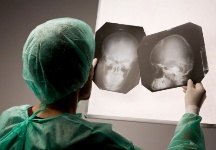 Concussions are considered a traumatic brain injury (TBI). Every year, over 1.7 million TBIs occur in the U.S.—with many resulting in lifelong disabilities and/or death. A TBI is “caused by a bump, blow or jolt to the head or a penetrating head injury that disrupts the normal function of the brain,” notes the Centers for Disease Control and Prevention (CDC). “The severity ranges from mild—a brief change in mental status or consciousness to severe—an extended period of unconsciousness or amnesia after the injury.” About 75% of traumatic brain injuries are concussions. When we get caught up in watching a hockey or football game, we often don’t think about the negative effects of their injuries. When two players fight each other on the ice, we cheer it on, even as one of them gets knocked into the wall. We don’t think about what happens after we turn off the television—about how much pain those players are really in when they’ve been knocked around. Traumatic brain injuries like concussions are responsible for 30% of all injury-related deaths in the U.S., according to the CDC. While it’s often thought of as a kids’ or athlete’s illness, it actually affects people in all age groups. Traumatic brain injuries are most prevalent in children under the age of four, adolescents between the ages of 15 and 19, and seniors over 65. Adults over the age of 75 are most likely to be hospitalized as a result of a traumatic brain injury—and more likely to die from a traumatic brain injury. The symptoms will progress and worsen for a more severe TBI, so it’s important to get help right away when you notice these signs. There are things you can do to prevent TBIs. Since everyday falls are the leading cause of TBIs in older adults, it’s vital to prevent these falls and injuries, before they lead to brain-damaging concussions, or worse. Older adults should get routine eye check-ups to make sure they don’t have any limitations affecting their vision; they should review any prescription medications they take (so as not to take any drowsiness-inducing medicine when they’ll be doing most of their activity); and they should try to focus on exercises that improve balance, like Tai Chi. At the end of the day, concussions and brain injuries are serious illnesses that can just get worse if not taken care of properly. It’s far from an injury that only affects athletes or children—so be aware and alert of your risk factors, and take steps to prevent yourself from having to deal with a traumatic brain injury. “Preventing traumatic brain injury in older adults,” Centers for Disease Control fact sheet; http://www.cdc.gov/traumaticbraininjury/pdf/PreventingBrainInjury_Factsheet_508_080227.pdf, last accessed May 10, 2013. “Help Seniors Live Better, Longer: Prevent Brain Injuries,” Centers for Disease Control and Prevention web site, September 19, 2012; http://www.cdc.gov/traumaticbraininjury/seniors.html, last accessed May 10, 2013. “How many people have TBI?” Centers for Disease Control and Prevention web site, March 27, 2013; http://www.cdc.gov/traumaticbraininjury/statistics.html, last accessed May 10, 2013.